I love adding nice accessories to a boring outfit and spice it up a little. The easier way to do so, for me, is by pairing a casual outfit with some lovely earrings. Back when I was younger, around 13 and 14 years old, I loved huge hoop earrings or big earrings in general. When looking back at pictures, I realised that at the time I might have not made some good decisions but oh well, too late. Now all I can do is laugh about it. For some time I stopped wearing such big statement earrings and went for a safer and not so dramatic option – studs. And even though I do like them, it didn’t take too long for me to go back to statement pieces but with a bit of more sense of style than my 13 year old me. 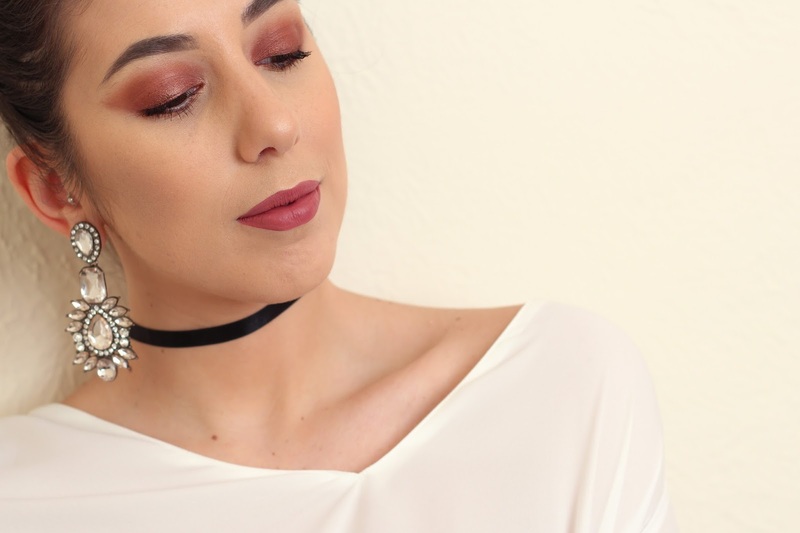 So for this post I am collaborating with Happiness Boutique and showing you two pairs of earrings that fits all occasions and are absolutely stunning. You also get a 10% discount code so read until the end for more details! 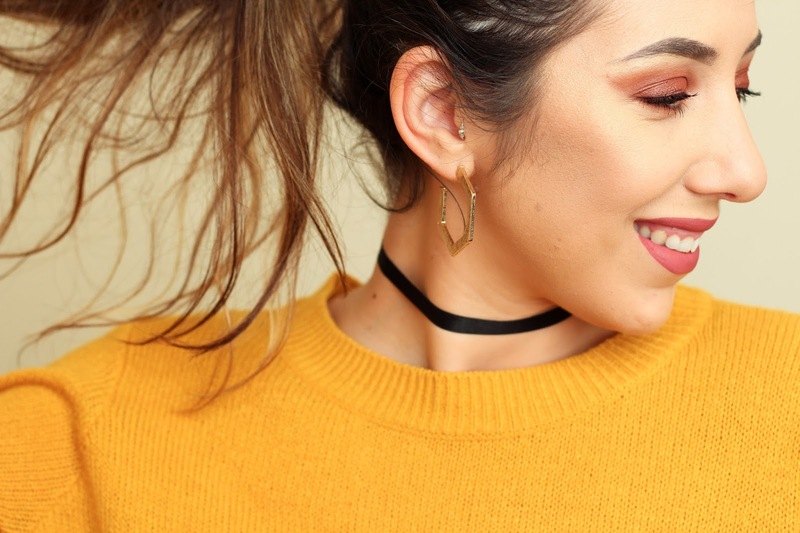 I was given the freedom by the lovely team at the Happiness Boutique to select two pairs of earrings from their whole collection so I could share with you all my thoughts and opinions. They have a huge selection of not only earrings but also rings, bracelets and beautiful necklaces. Their Instagram is also full of inspiration and I can’t tell you how hard it was for me to pick only two pairs of earrings from their whole collection. They have so many different styles and they are all beautiful. To make it a bit easier for me I decided to choose one pair that is more for a day-to-day wear but that also gives a beautiful touch on a date-night outfit and the second pair was some big statement earrings perfect if you want to show your presence with all that bling. First we have the all day wear kind of earrings – the Hexagon Hopp Earrings in Gold. These are absolutely stunning and I can tell you that I have been wearing them all the time for the past week since I got them. They are the perfect size, go with most of my outfits and just look so cool. The quality is beautiful, the earrings are so light it literally feels like you have nothing there and I just love them to bits. My best friend is a witness that I am in love with these beauties. They are totally my style. These earrings are big enough to be noticeable and appreciated but not too much that will look a bit crazy. 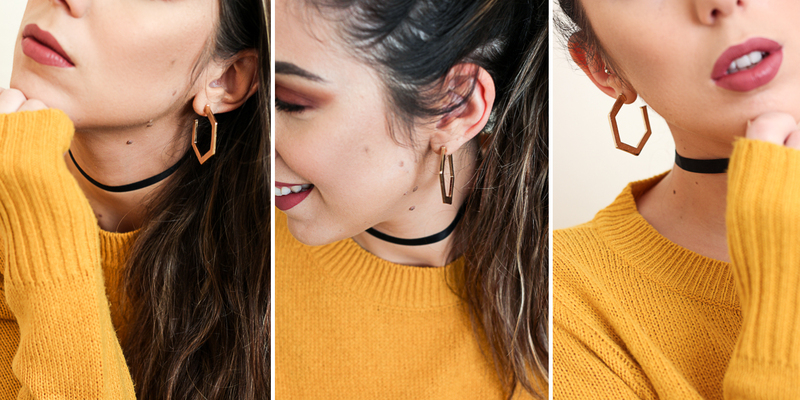 For me, they are the perfect everyday kind of earrings as I am more of a gold accessories kind of gal. Love them and totally recommend if you want something that is light and beautiful. 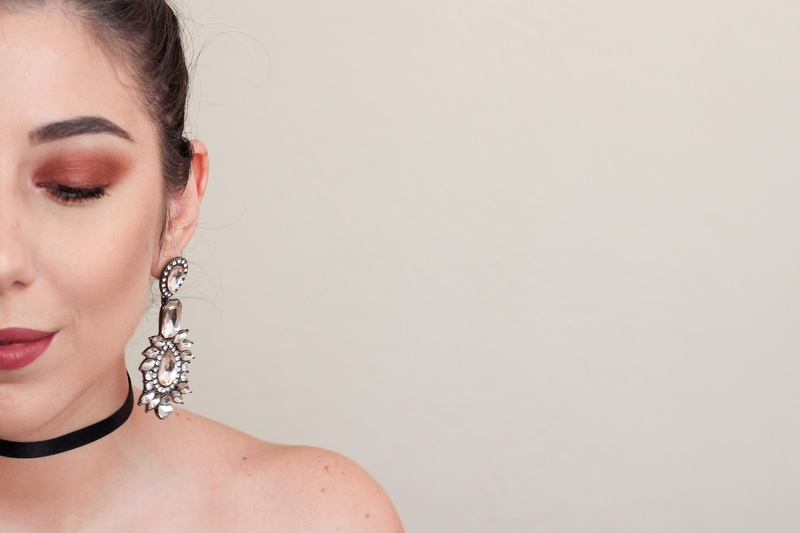 Now let’s talk about these big statement earrings that would make anyone stop and look. I am talking about the Vintage Style Pink Statement Earrings, aren’t they gorgeous? These were love at first sight and as soon as I saw them I thought about Valentine’s Day and how they were perfect for the occasion. Slightly more on the heavier side but definitely still very comfortable to wear, these pink statement earrings are the perfect accessory. They are so elegant, absolutely stunning and could blind with their sparkle. When the sun hits them, they look even more perfect. I am absolutely in love with these earrings. Again, they can go with anything and although I see them more as a night time kind of accessory, they can definitely be the perfect twist to a very dull outfit. I can see myself pairing them with some light denim jeans and a white jumper and these earrings will just add the perfect pop of colour and glam that the outfit needs! This is definitely a brand that is worth having a scroll down though their website and fall in love with their pieces. They pack their items with so much love and give us their very useful tips on how to look after the jewellery. Although Happiness Boutique is based in Berlin, Germany, they do ship worldwide and I think that is so good! If you live anywhere in Europe, you can get your parcel delivered within 4-7 working days with free shipping! Free. You don’t get free shipping like this nowadays. My parcel came within the number of days predicted and was carefully packed with love. You can really tell that they put their heart and soul into this brand. So, the good thing about this all is that Happiness Boutique kindly gave a 10% discount using the code thelisasworld at checkout on orders over 19€. This code is only valid from the 2nd of February until the 2nd of March so be sure to check their website within that period and enjoy the 10% discount they have to offer. They also have an interesting customer reward program were you can earn points by simply placing an order, reviewing a product on their website or even by sharing your photo on their “Happy Gallery“. You can click here and learn more on how to earn points and getting a lovely free gift from their website. This is indeed a very cool brand that it is giving us beautiful and different types of jewellery that you might not find on a physical shop. You can find this beautiful online store and their social media on the links below and don’t forget to use the code thelisasworld for an extra 10% off on orders over 19€. Let me know what style of earrings or jewellery are your favourite! Don’t forget to also check my Instagram and have a look at my Fashion Highlights to see these earrings in action, specially under the sun. You won’t regret. *This is a post in collaboration with Happiness Boutique. All opinions are my own.